LONDON (Reuters) - Royal Bank of Scotland admitted on Friday it submitted erroneous data for European bank stress tests in October and had in fact only just scraped through, calling into question whether it can pass a tougher British test. The revised result means that RBS, which is 80 percent-owned by the British government, was the worst performing UK bank in the European stress test, which assessed whether banks have enough capital to weather another economic crash. The revelation is another embarrassment for the bank, which has been fined in the past two weeks for failing to stop its traders attempting to manipulate foreign exchange rates and for a computer systems failure two years ago which locked millions of customers out of their bank accounts. 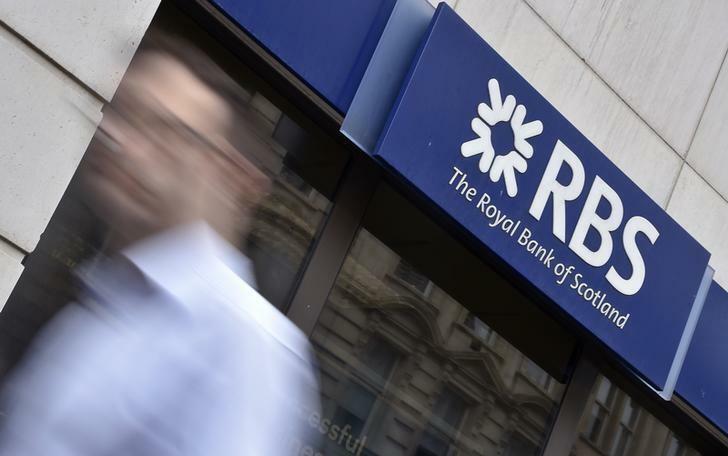 RBS said on Friday it held core capital under full Basel III rules of 5.7 percent after the adverse scenarios, scraping past the minimum 5.5 percent required. It had initially appeared to pass the test comfortably, holding core capital of 6.7 percent. "We are examining how this mistake was made, and will be working with our regulators as we do so," RBS said. Rival state-backed lender Lloyds Banking Group was initially understood to be the worst performing British lender, with core capital of 6.2 percent under the adverse scenarios. The Bank of England's test will measure the resilience of Britain's banks if house prices fell by 35 percent and interest rates rose to 6 percent. The results will be published on December 16. Britain's regulator told banks just a week before the test that they needed to use a stricter measure to assess their capital than they had initially anticipated. The stress test by European regulators was based on banks' capital position at the end of 2013 while the BoE's test will take into accounts improvements made since. RBS has strengthened its capital this year through a stock market listing of its U.S. business Citizens and other measures. It held core capital of 10.8 percent at the end of September compared with 8.6 percent at the end of 2013. The bank said on Friday that the stress test error did not impact its latest reported capital position or its target to hold core capital of 12 percent by the end of 2016.